MicroRNA (miRNA) precursor, molecular model. 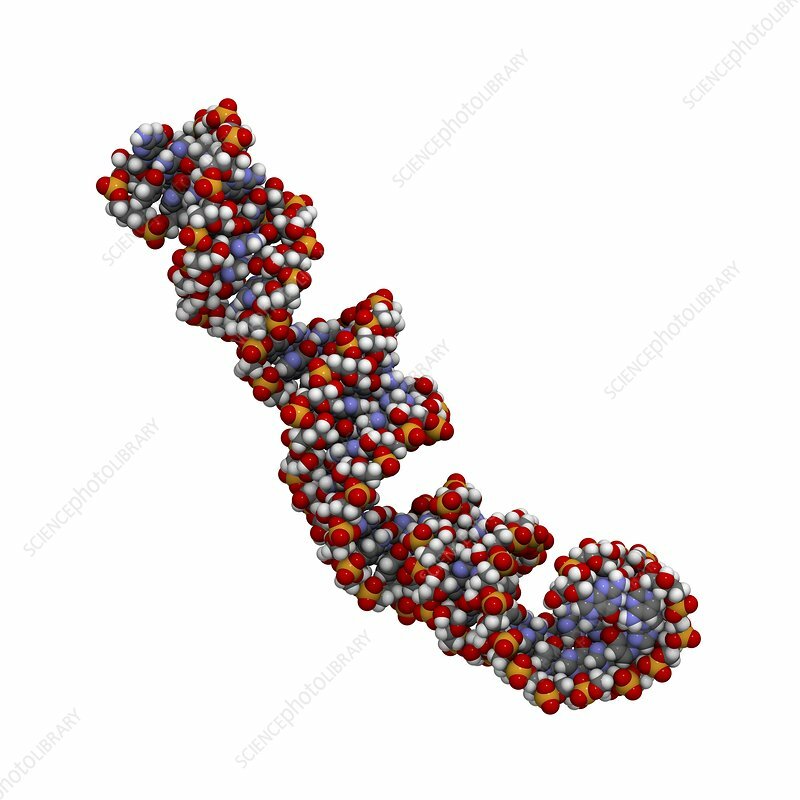 This miRNA (micro ribonucleic acid) precursor will be further processed into an even shorter mature miRNA oligonucleotide that can regulate the expression of a target gene. The precursor shown here is the human miR-17 stem-loop (hsa-mir-17), which is believed to play a role in several types of breast cancer.